Pineapple is a slimming fruit, ideal in slimming diets because it provides useful properties to lose weight. We explain to you what these qualities are. If there is a known and popular food in diets, the pineapple stands just above many other fruits. Because of its low calorie content and being rich in fiber and water, there is no doubt that the pineapple is extremely beneficial and ideal for weight loss. 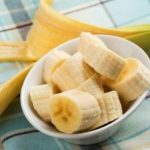 We are undoubtedly faced with a delicious and characteristic tropical fruit, typical of the summer months where its water content makes it a refreshing and rehydrating option, so interesting and useful in the hottest days. Originally from Paraguay and Brazil, nowadays we can find it easily in many places of the world. It is, as you are sure to know, an easily distinguishable fruit, with its greenish yellowish wrinkled skin, its oval shape and its peculiar crown. 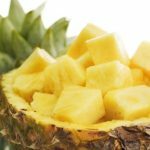 There are many benefits of pineapple to lose weight, which means that it is a fruit that cannot be lacking in our daily diet, as long as – of course – we can find it in the market (for example, its ideal period is the summer). But, what are the properties of pineapple and why is it ideal when it comes to losing weight? There is no doubt that the pineapple stands out first for its tremendous water content. In fact, the vast majority is water, so that a medium-sized pineapple contains 85% water. This high water content translates into something very simple: it will not only help you to hydrate and quench your thirst, but it is extremely useful to increase satiety, something interesting in slimming diets where precisely chopping between hours turns into the biggest problem. 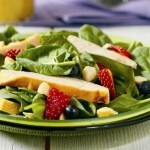 When following slimming diet the main goal is to lose weight. For this it is necessary to opt in the great majority for foods with a low intake of fats, and above all, with a low caloric intake. In the particular case of pineapple it is a fruit tremendously low in calories, since 100 grams of this fruit contribute only 55 calories. 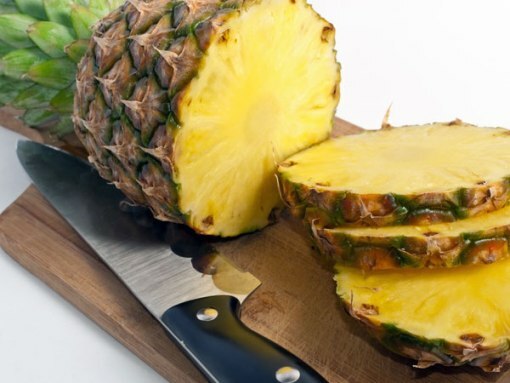 The pineapple stands out for its high fiber content, which is fundamental not only to improve intestinal transit and prevent or reduce common problems in this sense as for example is the case of constipation. 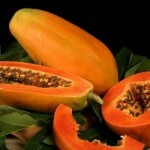 Fiber also helps to purify our body, a very interesting quality in slimming diets. Pineapple is tremendously rich in enzymes with digestive qualities, such as bromelain. Thanks to the presence of enzymes such as this pineapple is a very popular fruit because of its properties to help us digest food (especially those with a high content of animal proteins, such as meat), as well as to avoid digestive and intestinal discomfort. Because of its fiber and water content, pineapple is ideal as a purifying and detoxifying fruit, so that it is not only suitable to help our body eliminates toxins, but also it is interesting in preventing fluid retention. Why most people fail when trying to lose weight? ← Eat fruit with or without skin?